Responsibility means being dependable, making good choices, and taking accountability for your actions. A responsible citizen looks out for the well being of others and understands we all have a part to play in making the world a better place. For a five-year-old, responsibility might look like getting themselves ready for school in the morning, helping with specific household chores, or helping care for a pet – in other words, age-appropriate tasks that contribute to the well-being of their family. Kids as young as two can be "clean-up helpers." Kids as young as two can be "clean-up helpers," putting toys back into a bin or bringing you books to put back on the shelf. Using a simple phrase ("Clean-up time!") or song can help prompt children. Household jobs provide a great way to celebrate kids' growing abilities. For example, a two-year-old might be able to help you pull clothes out of the dryer, a three-year-old might sort clean laundry into piles by type and a four-year-old might fold their own pile and then put clothes away in the right drawers. Each time a child acquires a new skill, it's a chance to remind them that they are growing up: "When you were three, I helped you put napkins and silverware on the table. But now that you are five, you know how to set whole the table all by yourself!" Encourage Your Child to "Be a Helper"
Children who were asked to be "helpers" were significantly more responsive to requests than those who simply asked to "help." According to research, children who were asked to be "helpers" were significantly more responsive to requests than those who simply asked to "help." In other words, asking children, "Will you be a helper and clean up this room? " is more motivating to them than being told "Help clean up the room." Why? Children want to be viewed as helpers — it's an appealing idea nurtures their sense of independence and responsibility. Using a number line and subtraction skills, your child can figure out which items are missing in a mystery object game. Use this app to encourage children to practice stopping their play when they have to go potty and learn about important bathroom routines at the potty and sink. 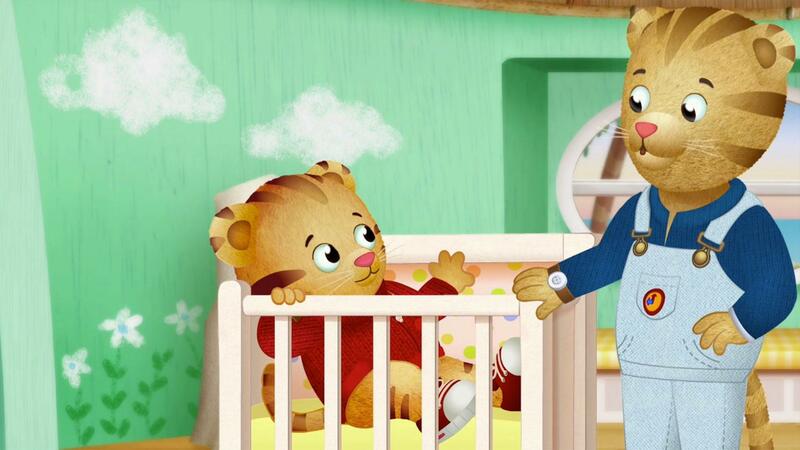 Daniel Tiger is learning about morning and bedtime routines! In this app, your child can play and practice brushing teeth, listening to a story and song, getting dressed and eating breakfast with Daniel. Elmo and Abby want to play dress up. Your child can choose pieces of clothing to complete the outfits Elmo and Abby want to wear. Oscar is going on a treasure hunt for trash in the ocean, on the beach, and in space. Your child can help Oscar while learning about height, ordering, and following directions . 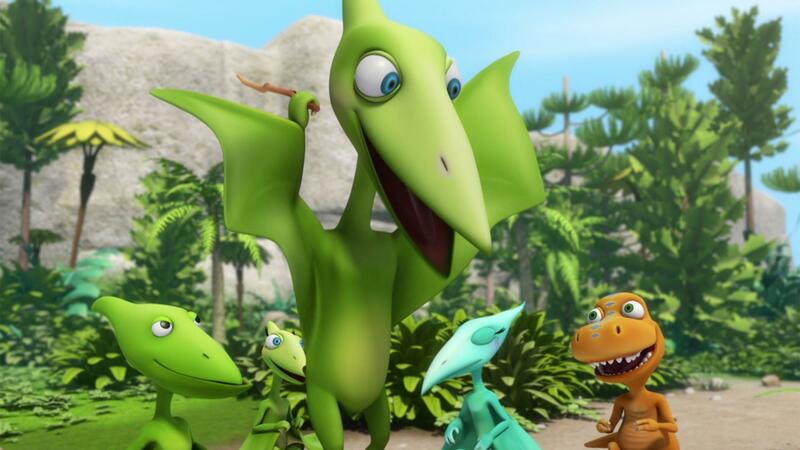 Mrs. Pteranodon teaches the kids about butterflies. Daniel's family is getting bigger and he is ready to be a big helper.